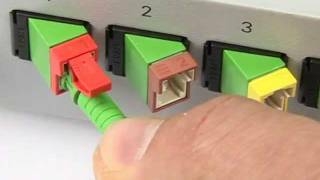 Color coding for E-2000™-Compact connector. Lever mechanically coded. Color lever for E-2000™-Compact connector. Lever with visual and mechanical coding.